Excellent Montréal food critic Lesley Chesterman said of La Salle à Manger “when the plates hit the table, it’s gourmet game on”. This was back in 2011. Guillaume and I headed there a couple of nights ago to see if this Mont-Royal hot spot was still worthy of such high praise. The place is cool. Nice dim lighting, wooden benches intermixed with individual tables, a glassed-in meat locker with a glimpse of the bustling kitchen behind. Vintage style wall paper behind a long, inviting bar. The Boss crooning “Atlantic City” in the background. So far, so good. The menu is simple but enticing with a good mix of vegetarian, meat and seafood options. Everything sounds market fresh, and approachable. No complicated laundry lists of ingredients, no high fallutin’ poetic descriptions; short and to the point. 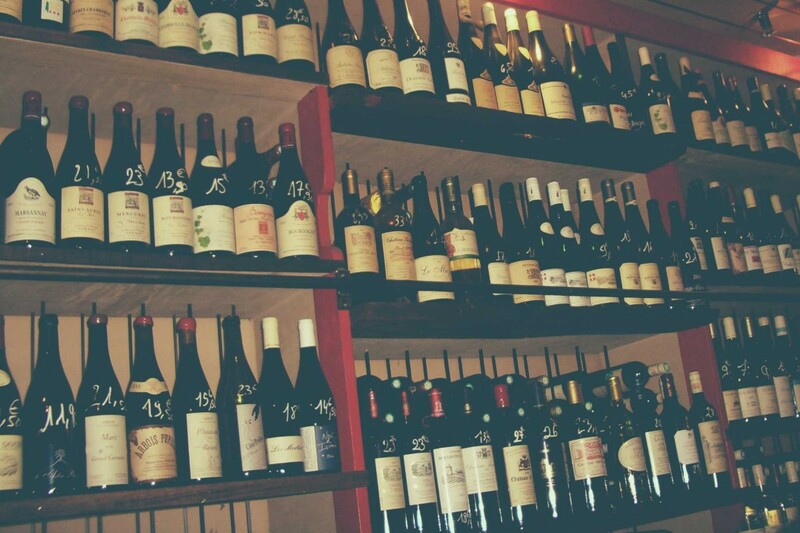 The wine list is long, with a pleasing number of by the glass options and a nice range of prices. But then I start looking at the origins… Austria, Loire Valley, Jura…and my heart sinks. Don’t get me wrong, I am a huge fan of these regions. 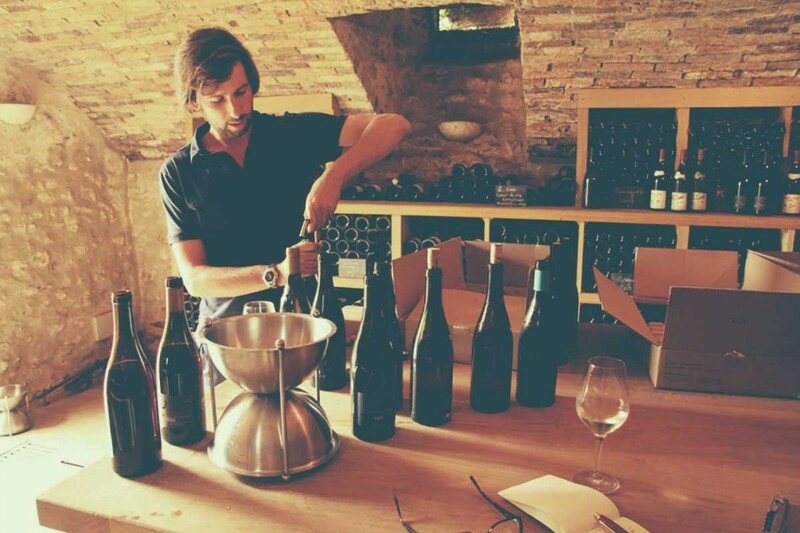 But they are also the poster children for the ultra-trendy natural wine movement. I am going to say something very unhip now… Ready? I don’t like natural wines. I have had some good ones. But on the whole….not a fan. Wine producers, waiters, friends all swear that this bottle will not be murky and taste like apple cider or barnyard, but to greater or lesser extents, they all do. Side note…I am very keen to be proven wrong, so feel free to send suggestions. I will dutifully try them and be happy to change my opinion. Anyways…back to the topic at hand… La Salle à Manger’s wine list. I ask the waiter, who proudly announces that yes, the wine list does focus on natural wines (sigh…). As we are already seated, and have ordered, we decide to push on through. We are in a celebratory mood. I have passed my 1st year of Master of Wine studies! We order Champagne. Robert Barbichon Réserve 4 cépages to be exact. I take a first nervous sip and am relieved. The nose is highly aromatic with apricot, tarte tatin and floral notes. The wine is crisp, light and refreshing, with subtle but persistent mousse and a lifted, fruity finish. This is not an earthshakingly good Champagne but very nice for the price. Our starters arrive: green bean salad, with grilled courgettes and fresh goat’s cheese for me (very fresh, but a tad bland) and grilled octopus, jalapenos and corn waffle for Guillaume (better, though the octopus is a little overwhelmed by the spice and quantity of waffle). Our smiling waiter brings over glasses and a couple of bottles to let us try the wines before committing. I like this guy! For the green beans he recommends a Pierre Frick Alsatian Sylvaner for its weight and minerality. The pairing works reasonably well, though the wine is a little neutral for my taste, with a tell-tale hint of apple sourness on the finish. For the octopus, our friend pours a decidedly brown glass of rosé. It is a Loire Vin de France Cabernet Franc. Guillaume’s verdict? Pretty nose of hawthorn and mixed berries, enough fruit and body to soften the spice, but a pronounced animal note on the finish that clashes with the octopus. For our next course, I take a wild mushroom dish with a jus de viande and egg. It is rich, hearty and flavourful, just as I’d hoped. I am offered two choices. The first one is the winner. A Catalan Garnacha Macabeu blend (Laureano Serres “Aidons Nous”). It is redolent of potpourri and cherries, with moderate acidity, medium body, integrated alcohol and animal notes on the finish that work well with the mushrooms. Guillaume has lamb liver with caponata (great mix of textures and flavours, liver well cooked, all in all a thumbs up). The pairing works well here too. 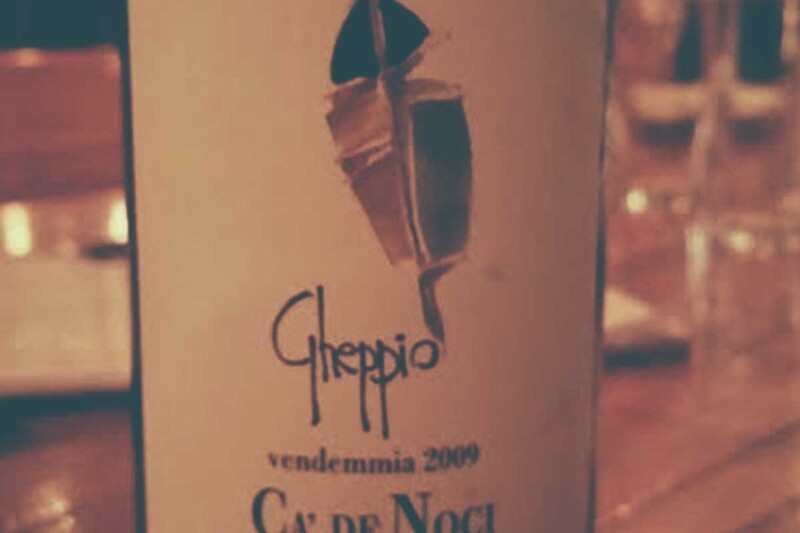 The wine is Ca’ de Noci “Gheppio” Rosso from Emilia Romagna. An IGT blend of Cabernet Sauvignon and local grape Malbo Gentile. Super-ripe fruit with volatile notes garners a frown from Guillaume, but the acidity matches the caponata nicely, and the full body and firm tannins work well with the liver. We finish with richly textured, firm and delicious panna cotta. No wine pairing here, but our waiter kindly offers us a glass of Rivaton Rivesaltes Grenat. A surprising wine with classic vin doux nose, but bone dry with lots of body, depth and smooth, rounded tannins. Overall, we would rate this restaurant experience in the good to very good range…sort of B+ level. A little on the expensive side, but a great vibe and really excellent service. The wine list, like the menu, has obviously had lots of thought and care put into it. The waiter knows his list and recommends well. However, I just can’t shake the fact that, unless the concept is made very clear to customers from the outset, a wine list should not be made up almost entirely of natural wines. There does exist an informed minority that love this style, and more power to them. But I don’t believe the average consumer will understand or enjoy murky, brown rosé, sour cider notes on whites or heavy barnyard aromas on light bodied reds. The wine pairings were good, but I just didn’t like any of the wines save the Champagne, and what is a good restaurant experience about if not pleasure?